New and used pianos. Bluthner, Bosendorfer, Estonia, Steinway, Kawai, Yamaha, Roland and more. ﻿Our piano store is accessible from anywhere in the NYC metro area, whether in NY, NJ or CT. If you'd like to buy a piano, rent a piano, or simply learn more about pianos, please make sure to visit us. Allegro Pianos Stamford piano store is convenient to anywhere in Westchester County, NY or Fairfield County CT, and just a few minutes from Greenwich, New Canaan and Darien in CT, or Bedford, Armonk and Pound Ridge in NY. 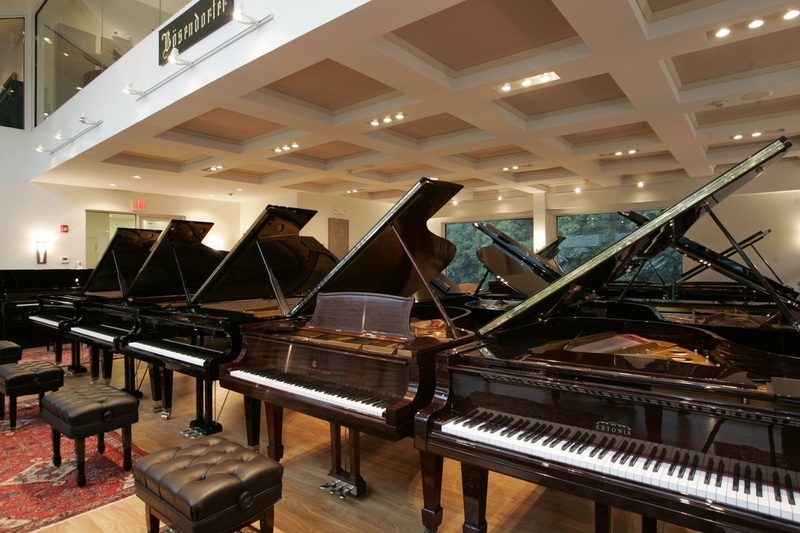 Westport, Easton, Weston or Ridgefield, CT... or Scarsdale, Harrison, Purchase, Rye or White Plains in NY are all within 20 minutes drive of our piano showroom. If you're considering buying a quality piano and visiting NY from out of town, our Stamford showroom is less than an hour drive from NYC major airports and only a 45 minute ride from mid town Manhattan by either car or train. Our unmatched selection of grand pianos and upright pianos include new pianos from the most respected manufacturers, emphasizing high-end European pianos, attractive value Japanese piano brands, rebuilt Steinway pianos and a variety of pre owned pianos and used pianos of many makes. On our showroom floor, you can regularly play European pianos made by Bluthner (Germany), Steingraeber (Germany), Bosendorfer (Austria), Estonia (Estonia), Haessler (Germany), August Forster (Germany) and more. We also have a great selection of the more prevalent Japanese made pianos such as Kawai , Boston and Yamaha, and of course, commonly found Steinway Pianos of all vintages. We routinely take trade-in used pianos, as well as inspect, prepare and offer these pianos for sale. Allegro Pianos is a leading piano retailer for quality pianos offering unmatched selection of piano brands, a unique buying experience and first rate after sale service. Visit us as you research possibilities before buying a piano. It is a visit you're likely to find useful and rewarding . America’s greatest selection of premium and European world class pianos can be found at our flagship Stamford piano store. Allegro Pianos can restore pianos by request and we offer some restored pianos for sale. 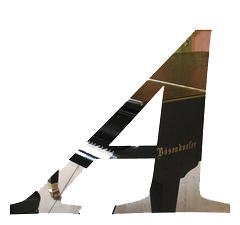 We specialize in Bosendorfer, Bluthner and Steinway piano restoration. We have many restored, reconditioned and refurbished Steinway pianos in our showroom. Used Steinway pianos are also available along with a variety of used pianos by different makes. ​Please visit our Piano Restoration page for more information. We carry Digital and Hybrid Pianos, by Kawai, Roland, Yamaha and other makes at our Stamford piano showroom. Most of our digital and hybrid pianos are meant to perform as close as possible to an acoustic piano yet still provide the advantages of a digital piano, such as silent piano playing, volume control, recording, connectivity to a computer or tablet, tone selection and modification, and more. Please visit our Digital Piano page for more information. Allegro Pianos' sales and service covers a large geographical area for many piano brands. Our Stamford Piano Showroom in Southern CT is designed to provide a unique experience where any person considering the purchase of a piano, whether a novice player or accomplished professional, will enjoy learning about and evaluating pianos in a relaxed, optimal setting. While piano buyers from CT, Fairfield County, Westchester County and the greater NYC area visit our Stamford showroom most frequently, we receive visitors from all over the United States and beyond due to the unique experience, information and piano selection available only at Allegro Pianos. If you're looking to buy a piano, rent a piano or lease a piano... and especially, if you're considering the purchase of a new Bluthner piano, a new Steingraeber piano, a new Estonia piano, a new Kawai piano, a Bosendorfer piano a Steinway piano or a Yamaha piano please make sure to visit Allegro Pianos Stamford location for a memorable experience. We are convenient by either train or car from NYC and Boston and only 45 - 50 minutes from NYC major airports. A quick 46 minute train ride from Grand Central Station in Manhattan will bring you to Stamford and we will be happy to provide pick up at the train station. Piano buyers arriving by car from Long Island, Queens or Brooklyn usually take the Whitestone Bridge, about 30 minutes from our piano store... while NJ piano shoppers often prefer driving through the Tappan Zee or George Washington Bridges, 20 and 35 minutes away respectively, rather than navigate through NYC congested traffic and parking.